Despite the growing interest among philosophers and theologians in virtue ethics, its proponents have done little to suggest why Christians in particular find virtue ethics attractive. 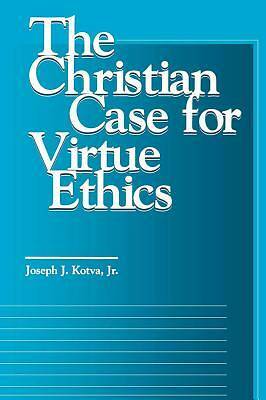 Joseph J. Kotva, Jr., addresses this question in The Christian Case for Virtue Ethics, showing that virtue theory offers an ethical framework that is highly compatible with Christian morality. Kotva defines virtue ethics and demonstrates its ability to voice Christian convictions about how to live the moral life. He evaluates virtue theory in light of systematic theology and Scripture, arguing that Christian ethics could be profitably linked with neo-Aristotelian virtue ethics. Ecumenical in tone, this book provides a thorough but accessible introduction to recent philosophical accounts of virtue and offers an original, explicitly Christian adaptation of these ideas. It will be of value to students and scholars of philosophy, theology, and religion, as well as to those interested in the debates surrounding virtue ethics.